Alarm blares like a foghorn warning ships of imminent doom along the rocky coastline that is receiving a beating from the angry sea. Or at least that is what it sounds like when your alarm goes off that early on a Saturday morning. You have thirty minutes to inhale a bagel, get dressed, and grab your bike and gear before you head to your buddy’s house for a day of shuttled runs. There’s a whole crew meeting up. A quick glance out the window reveals a cold drizzle has invaded your day unannounced. Cold drizzle. 6:30 AM. Maybe I could bail out this morning. Your thoughts deceive. Besides, there are already enough riders and shuttle drivers so it is not like I’ll be missed. Your inner dialogue is beginning to wear down your defenses. One of the life lessons learned along the way is that no decisions are ever to be made (at least any good ones) until after the first cup of coffee in the morning. Luckily you planned last night for the morning’s self-sabotage. Your coffee, water, and coffee maker (which in this case is a Hario v60 pourover) are all laid out ready for action. 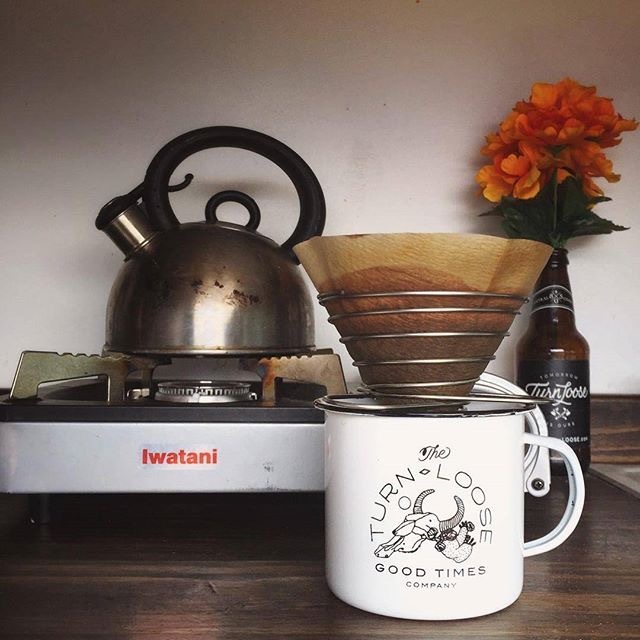 You make your way into the kitchen, click on the electric kettle, measure and grind your coffee (Guatemalan today) and scroll through your Instagram feed as you wait for the water to boil. 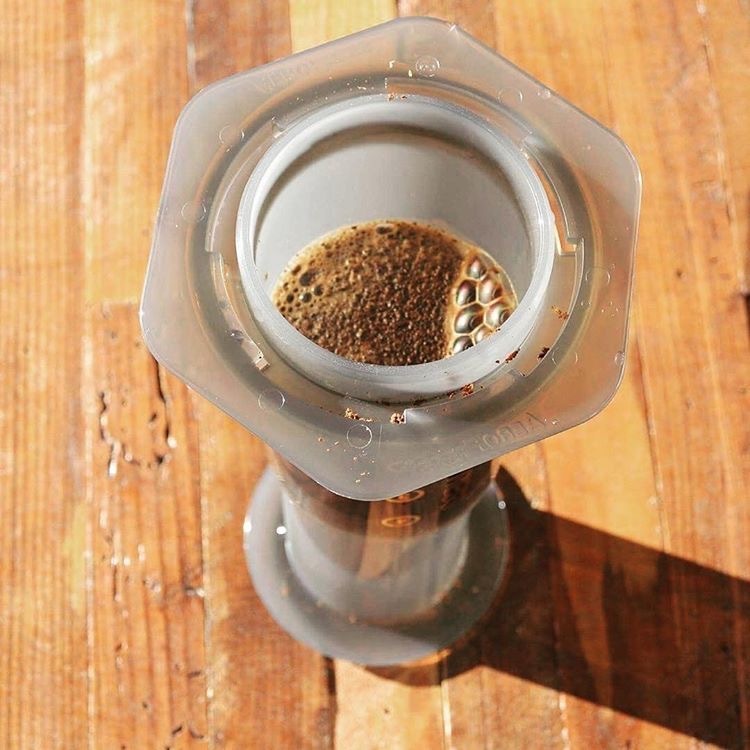 Pre-rinse the filter, pour hot water in your coffee mug to preheat, add grinds to the Hario dripper, saturate grounds with water, let it bloom, and then keep slowly pouring until your done. Coffee is poured out of the carafe into your warm mug. Gingerly you lift the mug to your lips as the first traces of coffee grab your tongue and taste buds like a muscled luchadore. This is going to be an epic day on the trail, you muse as your inner dialogue becomes optimistic after coffee has jumpstarted your system. How often has coffee been the deciding factor between a day out on the trail or sleeping an extra few hours and then later regretting that you didn’t ride? That is why coffee goes so well with mountain biking. It is the lubricant to get our creaky bodies going in the morning. But beyond that, coffee is much more than a utilitarian jolt of energy. It actually tastes good ... or at least it should. When Loam Coffee was started our intent was simple. (1) Provide excellent locally roasted coffee to mountain bikers and (2) Educate mountain bikers about the fun and creative ways to enjoy coffee not only at home but at the trailhead, out on the trail, or at the campsite whether before a race or day three into a week-long bikepacking trip. Coffee is meant to be enjoyed. Why does coffee matter in mountain biking? It matters because it matters to mountain bikers. In the same way that riders love a post-ride beer with the crew how often do we see the same crew standing around in the parking lot at the trailhead before the ride all sipping on coffee? Drinking coffee is intrinsically social ... and it helps us wake up and gather our faculties before descending the trail at insane speeds. Before your next outing with the crew add coffee to your pre-planning ritual. As you’re laying out your gear the night before, going over your bike one last time, and deciding on your color-coordinated kit, don’t forget to set out your coffee for the morning. It could be the difference between a day of shredding or hitting the snooze button. Words by Sean Benesh, Loam Coffee Founder and Brand Manager. The two large photos are by Czech Republic Loam Coffee Ambassador Ondra Kinkor.